In the coming years, Canadians are going to hear a lot about attaining STEM educations and fostering STEM businesses. STEM is an acronym standing for science, technology, engineering, and mathematics; the fastest growing areas of entrepreneurialism in the world. 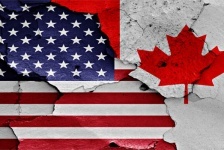 Due to a number of factors, including the volatile political situation in the United States, Canada is poised on the precipice of the greatest advances in advanced technology development this country has ever seen. Canada has been known as a stable and reliable developer of advanced technologies for much of its 150 year existence. With excellent schools and few religious or ethical barriers to research, Canadians have invented or innovated on some of the greatest tools humans have ever developed. For a relatively small country of only 36million, Canada has some of the best tech infrastructure on the planet including world-leading universities, research and development centres, high-speed Internet access in virtually every community, and a support system managed by private business and government that actually provides a high level of support for burgeoning STEM efforts. 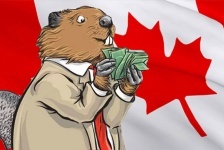 Though helping develop the STEM sector in Canada is now official policy for all levels of government in all provinces and territories certain regions got a head start in the last quarter century and are already far ahead of others in the race to build better mouse traps. Cities such as Victoria, Vancouver, Calgary, Edmonton, Toronto, Guelph, London, Kitchener, Windsor, Ottawa/Kanata, Montreal, and Halifax have strong science and technology sectors bolstered by world class universities and research centres. 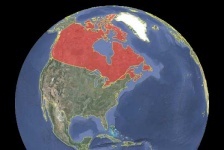 There are two distinct areas in Canada that could be called a techopolis. The first is the cities of Vancouver, Victoria, and Nanaimo in British Columbia. This area has grown significantly since the beginning of the Internet era with high tech replacing tourism and government in Victoria as the #1 employer. Known for their milder weather and extraordinarily beautiful geography, Canada’s three large west coast cities are home to seven universities, dozens of colleges, and thousands of established tech firms. The second burgeoning Canadian techopolis is the rapidly growing part of Southern Ontario made up of London, Guelph, Kitchener, Hamilton, and Toronto. Built on the infrastructure backbone left by Blackberry, the technology sector is poised to challenge the manufacturing sector as the primary driver of the regional economy. Led by the largest global tech firms such as Google, Facebook, Amazon, and Apple, Southern Ontario is benefiting from a sudden influx of investment dollars and innovative ideas. Southern Ontario is also benefiting from an accelerated advancement of federal, provincial, and municipal government funding and assistance aimed at building infrastructure and capacity. There are several unique factors currently contributing to the strength and growth of the Canadian tech sector. Canada is a stable democracy that welcomes immigration. The country is seen as a safe haven for foreign tech teams during this volatile period in American history. Canada has a highly educated work force, universal health care, and an excellent public education system. All levels of government foster technology businesses with grants, bursaries, public partnerships, loans, and other forms of capitalization. Because of strong funding support, public investment in human capital, and well developed public infrastructure, companies like Google and Uber have opened A.I. research centres in Toronto and Guelph, employing thousands of highly paid engineers, mathematicians, and programmers. Those research centres, in turn, create thousands of jobs in sectors as varied as academia, office supplies, and logistics simply servicing them. It is critical to understand that none of this growth could happen without the support of government funding and public institutions. In the coming weeks, the Telsec Business Blog will cover the various pillars contributing to the STEM technology boom in Southern Ontario including a rundown of grants available to STEM start-ups and office space options available around the fastest growing techopolis in North America.